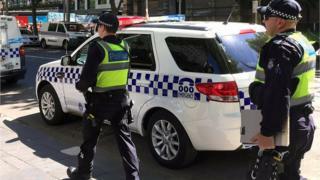 Australian Prime Minister Malcolm Turnbull has said an attack involving a car in Melbourne was a "shocking crime" but an "isolated incident". 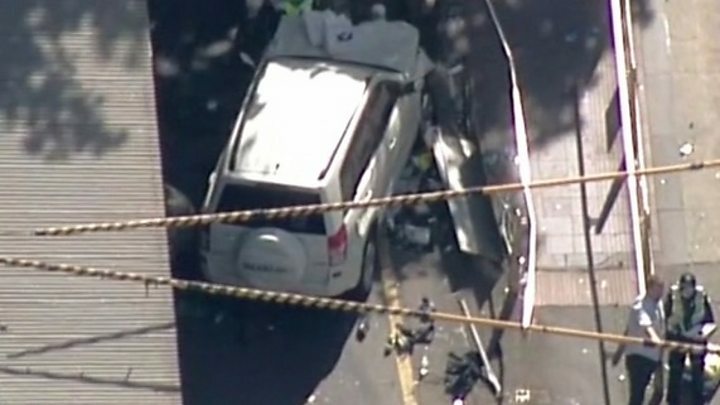 On Thursday, a 32-year old man drove his car into pedestrians on Flinders Street, injuring 19 people. Police have said the driver had a history of mental illness and drug abuse but no known extremist links. He had "attributed his actions to perceived mistreatment of Muslims", said a senior officer. The man, who was arrested at the scene by an off-duty officer, is an Australian citizen of Afghan descent who arrived in Australia under a refugee programme. Investigations were continuing, said Mr Turnbull. At this stage there were "no known links to any political issues, or any links to extremist groups" but he added that "nothing should be ruled out". Acting Chief Commissioner Shane Patton earlier said the man was known to have a mental illness. He was on a treatment plan but had missed an appointment on Thursday. When interviewed by police he "spoke about dreams, he spoke about voices", said the chief inspector, "but he also did attribute some of his actions to the poor treatment of Muslims". Mr Turnbull confirmed that nine foreign nationals were among the injured. According to media reports, these include three South Korean tourists, as well as tourists from China and Italy, India, Venezuela, Ireland, and New Zealand. Several of the injured remain in critical condition, one pre-school aged child is reportedly stable. On Friday morning, streets in the city centre reopened and trams were operating as usual. Police said a second man arrested at the scene was released and expected to be charged with possession of cannabis and a controlled weapon. The charges are not linked to the car attack.